. 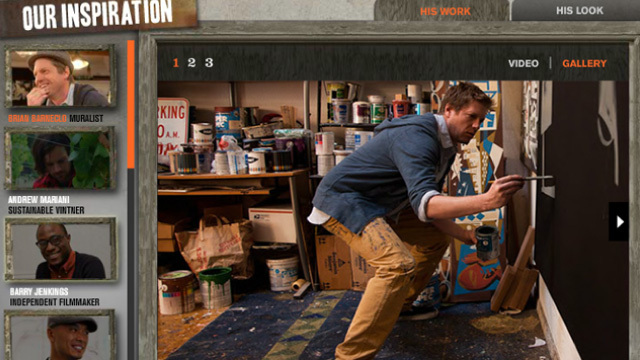 :: Michael Squibb / Art, Design, Motion, Code ::. 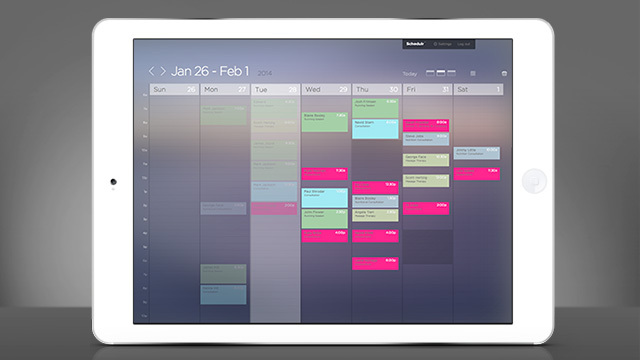 I'm currently working with a local software company to design, develop, and release our own web app that enables and manages Online Appointment Booking. Built for sole proprietors, our product is by far simplest on the market. It's unique only because of our steadfast commitment to being reductive. We've stripped away every feature, gesture, and process that doesn't benefit a sole proprietor. All of that while designing and engineering brilliant new ways to enter data. 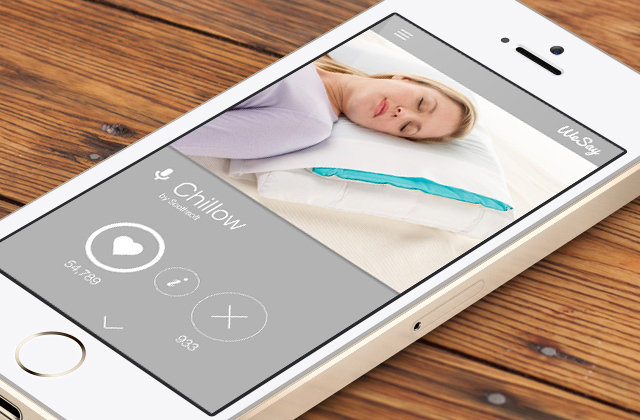 Our software will be smarter, simpler, and more beautiful than any other on the market. I am responsible for concept, design, UX, UI, front-end coding (HTML/Sass), and will soon be in charge of branding and marketing as we prepare for our beta release. 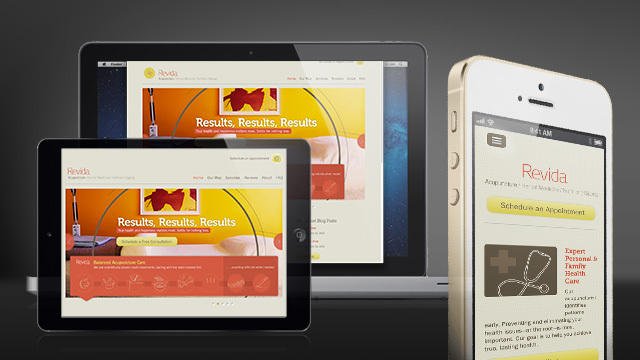 I was hired to help Revida Acupuncture rebrand with a fresh new identity package and a brand new responsive web site. I was responsible for branding, UX, UI, design, illustration, development, and editing content. Grow your own food. 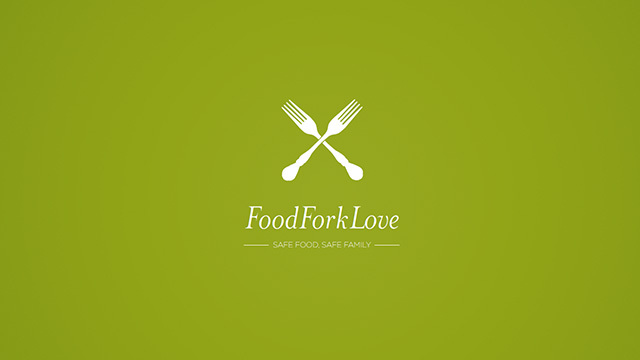 Vote with your fork. Protect the ones you love. I was hired to help an established company expand into an ermerging market with an editorial/community based online magazine (including a website, app, mobile site, merchandise, and an innovative advertising model). I led a talented creative and editorial team over the course of 6 months to concept and design this media property based on our research and insight. I was responsible for strategy, naming, branding, UX, UI, design, and pitching to the president of the company and his executive team. Once bought, we transferred responsibility to the company's internal creative, design, development, and editorial teams. I was hired by Cibo SF to help them bring their client's homepage takeover advertisement to life. I worked closely with the creative director to plan out the animations, worked with Cibo and their vendor to manage the 3D asset delivery, then I dove into Flash and developed the banner. The result was a slick product tour, allowing potential customers to spin the product around in 3D space, highlighting the product's unique features. When one thinks about famous advertising jingles, perhaps there is none more catchy and memorable than Meow Mix's "Meow meow meow meow" song. My team re-energized the jingle by having people play with it in this fun game. 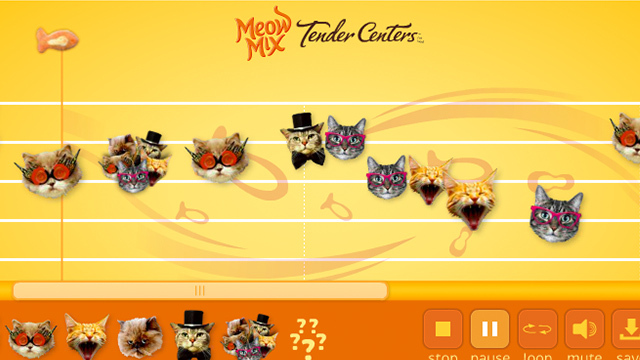 Players can customize the song using unique cat voices and make a version to save or share with friends using social networks. Meow Mixer brought the Meow Mix branding back to life and it circled the Facebooks, Twitters, and interwebs to great fanfare and adoring reviews from a variety of influential blogs. To help launch the new Dockers Alpha Khaki, the first Khaki ever to wear like a jean, we turned August into "The Month of Epic Firsts", pulled off some free stunts that no brand had ever attempted on Facebook before and created something brand new: The Free Pants Slot Machine. We made the Facebook photostrip interactive for the first time ever and created the world's first playable slot machine using only Facebook-native functionality. We made something brand new without building anything at all. Our award winning campaign from creatives Justin Hargraves and Eric Molina played on a timeless idea: if moms hate it, 18 year olds are going to love it. So was the case when we showed the new action horror game Dead Space 2 to our target market's moms. 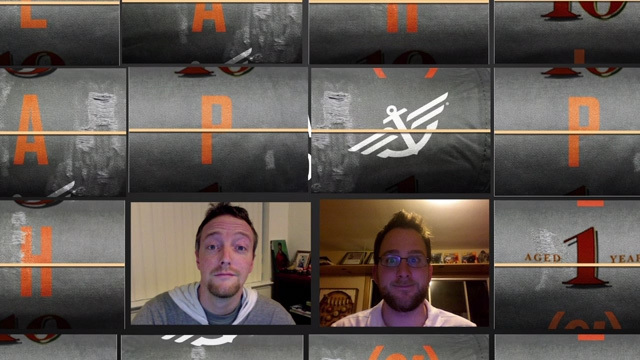 We filmed their reactions and made a campaign out of it. I was responsible for concept development and was the lead integrated designer. I believe in working with other people who, for some crazy reason, are hell bent on changing the world. So we helped Dockers grow their Facebook fans 10x over with a do-good social media campaign that empowered men to put their life plans into action. Men shared their ambitions and voted in our Facebook app, where they won cash and resources to execute their do-good blueprints. Weekly winners were awarded cash prizes to pursue their good-hearted dreams, while one lucky grand prize winner who teaches sustainability to kids won $100K to scale up his business. I was involved every step of the way with concepting, art directing, writing, and designing. Doing good for good feels right. Ad agencies are insanely curious about what other agencies are doing. So my team and I created a simple web site that uses Instagram to allow agency peeps to share photos and spy on each other during the holiday party season. Nearly one hundred of top agencies around the world have participated. Ours was one of the first sites that put the new Instagram API to use, and people loved it. It was projected live at parties and used compulsively until late January. We're taking the next step and developing the site for mobile. Lookout Cannes, we'll be watching. 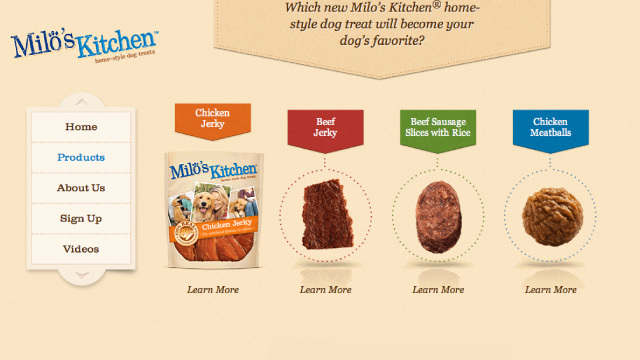 The Milo's kitchen website design is simple, modern, warm, gourmet and human. 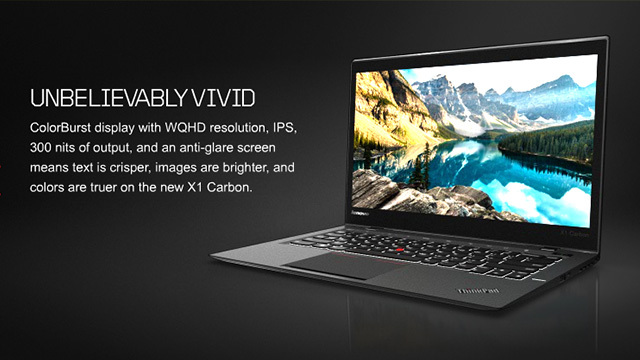 It was developed in HTML5 and is designed to look great on tablets, mobile and desktops. I directed UX, design and development of the project. This Facebook application allowed users to snap a webcam photo or upload a photo in exchange for a simified version of themselves. 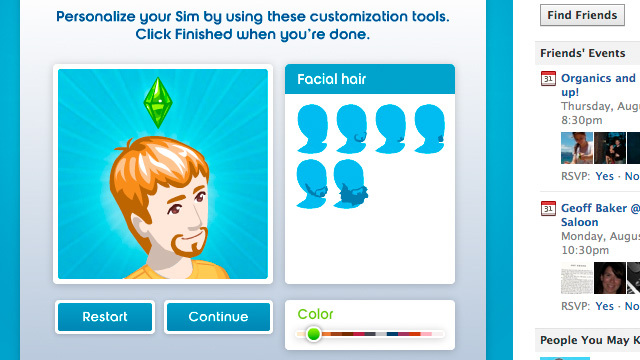 Then they could fine-tune their avatar and customize their sim-self. Of course they could make it their profile image, share it, save it, and like it with the click of a button. The app had nearly 7 million likes and far outlasted our predicted shelf-life. I directed the UX, design and development of the project. Sometimes work can be ridiculously fun. 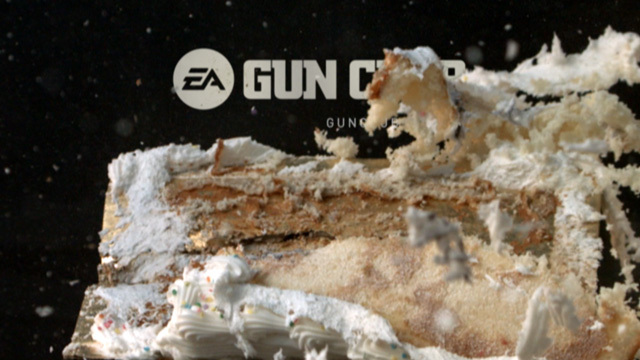 That's how I'd describe this series of bumpers we created for EA's shooter fan club site EA GUN CLUB. Naturally we created a section on their website where fans could watch all of the clips. I helped with concept development and was responsible for the editing and motion graphics. 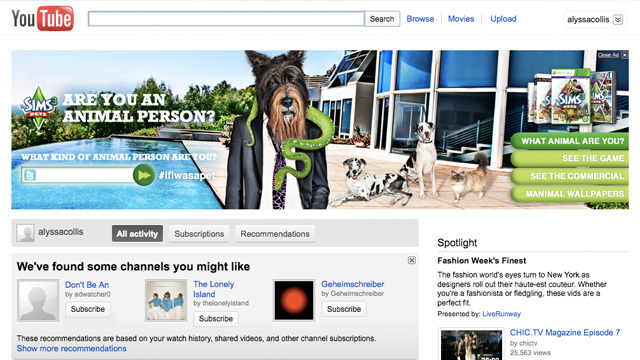 One of many Youtube mastheads I've designed and/or developed, this one featured a half man/half dog named Trevor Mountleg. Trevor asked us to use our imagination and tweet what life would be like #IfIWasAPet, directly from the banner. Of course the rich media unit also had the commercial spot, previews of the game, and downloadable wallpapers. We paired this unit with a sponsored trending hashtag on Twitter, and the entire day buzzed with entertaining comments from users. 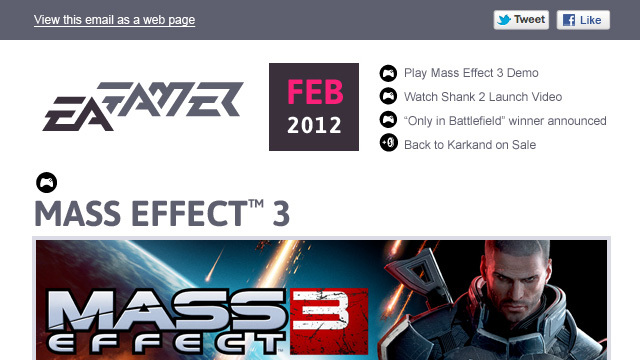 This CRM concept is a redesign of EA's existing email newsletter, which was hurting from a lack of personality and curb appeal. My team and I introduced a new logo mark, issue numbering, sectioning with a custom set of iconography, a fresh new type/color palette (to align with the beautiful site design work Odopod created), a simplified grid to streamline production, and a witty line of copy in the footer to seal the deal. We also argued for more in-depth, exclusive editorial content to keep fans thirsty for more. Unfortunately I cannot say much about this project, as it has yet to launch. But I can speak to it if we sit down together or jump on a call. 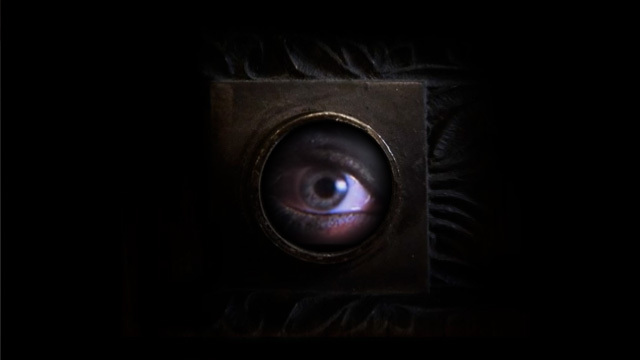 I was responsible for concept development, art direction, UX, and design of the mysterious project. AThis is an idea I had a few years ago. 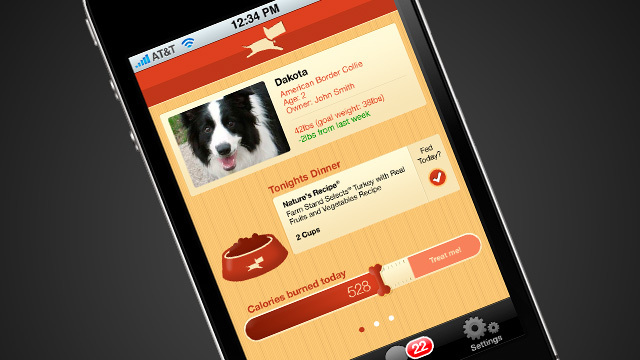 It's basically Fitbit for your pet. I was on a small team responsible for the concept development, UX, and design of the app. It started as an agency side project with some smart colleagues, and ended when none of us really wanted to leave our day jobs to pursue this full time. The products do exist now, so I'm happy to see we were on the right track. Unfortunately, the work we did was confidential, so I can't share more than this. 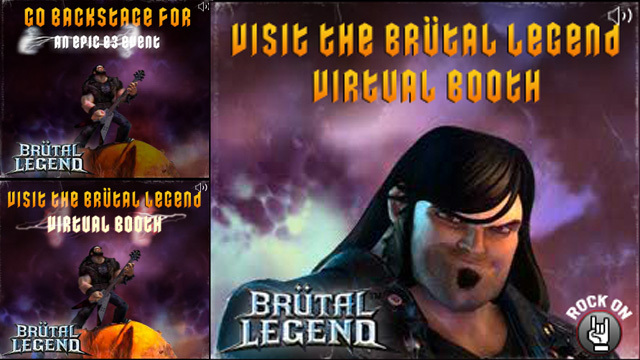 Here are two banners I developed for EA's Brutal Legend video game. 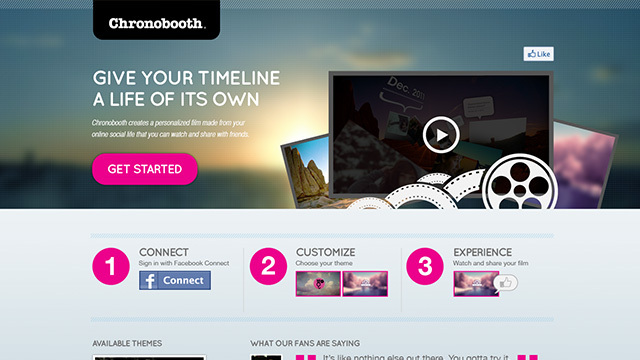 Aside from the animation and interactivity, I sold the agency and client on adding sound design. The ad features vocal tracks from Jack Black, the game's star, on rollover. A lot of people don't fully understand what a 100K rich media banner is capable of. Here's a great example of a smart use. 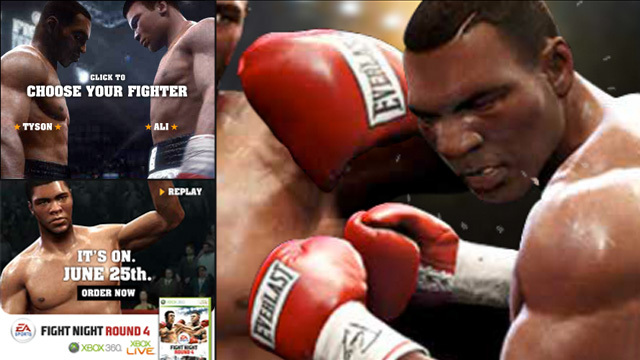 I developed this simple, very high quality mini-game, which pits Mike Tyson vs. Muhammad Ali. Choose your fighter and step into the ring. I led a small delta team of designers and developers to create this website experience for a production company in Hollywood. We were responsible for concept development, UX, art direction, design, directing, editing, sound design, and development of the site and its accompanying blog. 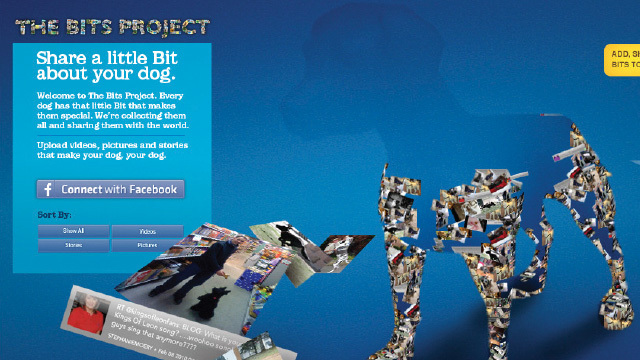 This was an idea we pitched to the Kibbles 'N Bits team, where user-generated content is collected and used to form the skin of several adorable puppies. The puppies could then be rotated in 3D space and set free to play with each other. The puppies could be followed via social media, and when they barked a Tweet was sent out with a fun bit of content from the users. Arron Creechley and I produced this film for Freebord, which explains the impressive features of their product. We were responsible for concept development, storyboarding, visual treatment, directing, editing, motion graphics, and sound design. 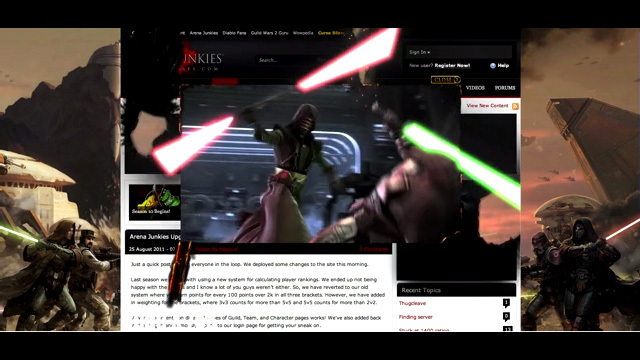 Star Wars was launching their new epic MMO: The Old Republic. They needed an equally epic experience to hook viewers and bring them into the Star Wars world. We responded with a series of full page takeover units, where the page suffers the wrath of fierce battles between the Jedi and the Empire. 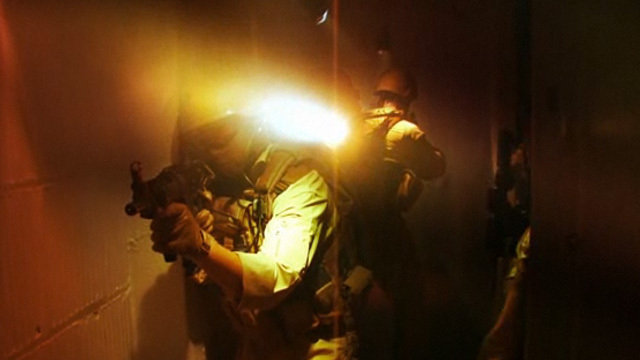 My team was responsible for concept development and directed the production of the experience. Produced by Ted Perez, Los Angeles. 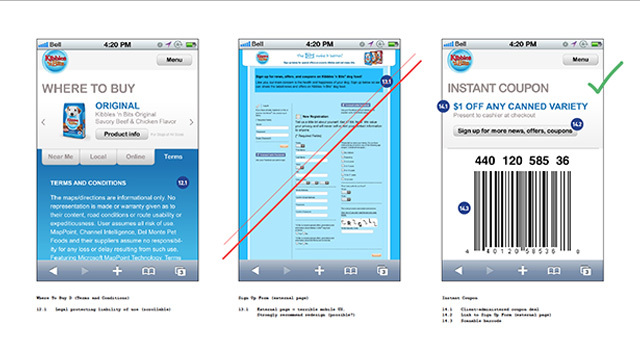 I was responsible for the UX design of the Kibbles 'N Bits mobile site. We identified the user's behavior and filtered/amended desktop site content for that behavior. I created the entire deck, pitched it to the client, and followed up with answers to their questions. It sold easily and I'm excited to see what the final designs look like. I wanted to combine my three deep passions: technology, design, and making music. One night, over beers, my developer buddy and I imagined an app that allowed musicians to collaborate and make music together across the world. It would be a bit like an open-sourced Garage Band meets Sound Cloud. 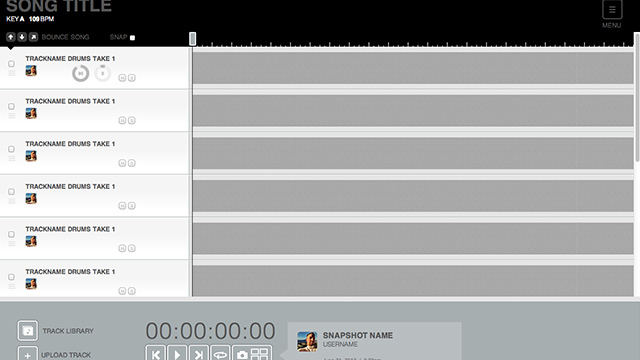 Users could upload recordings to a song project, and have the ability to craft/export music using the project's shared library of recordings. I could record a bass line, while my cousin in Kansas adds in his piano work. My friend from across town adds in drums, and a singer in Kenya adds in the lyrics and vocals. What we created was Open Source Music. I am responsible for the concept, UX, front-end coding (HTML/Sass). This project is currently on hold. ©2012-2014 Michael Squibb. All rights reserved.